Summer is coming pretty soon this year and because of that I am very thrilled to clean my garden bed once again. I have so many seedlings that I'd like to try to plant and hope that this time it will be grown successfully. Other plans I have is so make sure that this year too, I'll be able to clean and plant a better flower in the siding of the house. Never actually that active last year because I could not take a risk to keep my infant outside, especially knowing the fact that there were so many nets flying around the yard because it's been a very wet Spring and Summer we have last year. Plus, knowing the fact that I don't have most of my gardening tools, I wasn't inspired too much to actually pursue it. However, now that I have the opportunity to obtain one. I'm very excited to just use the appropriate tools that I've got. · WHERE TO START: Are you venturing into the gardening world for the first time? An herb garden is a simple way to start, as they are one of the most low-maintenance and high-yield crops with incredible versatility. Green Beans and radishes are two other easy choices that will continue to bloom throughout the season. This product is AMAZING. If you are looking for a great Garden Tools that has all the accessories in it? 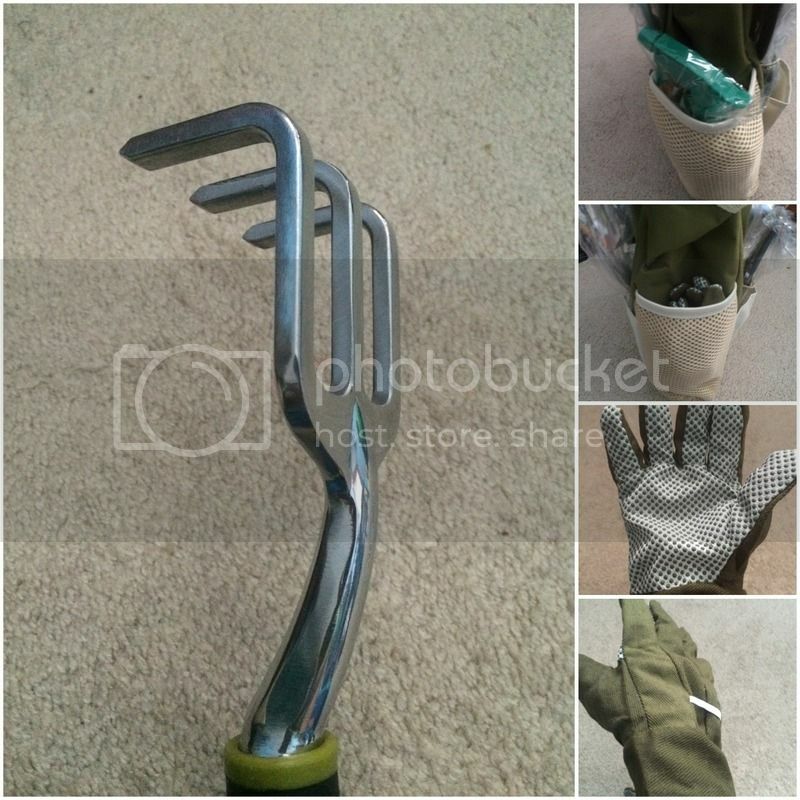 The Vremi - Horticulture Helper Garden Tools has 9 Pieces set. It would complete all the tools and accessories you want to start your garden. The product arrived in the mail in a great condition. I like the packaging, I see no signs of damage to the items that I was able to open and examine what I got right away. At first I was thinking that this might be very heavy due to that tools it has, but I was wrong. It is not very light but it is pretty much light to carry along. All the tools and accessories are present with also the Bag and Gloves I can use for gardening. It has a soft grip handle and the tools are indeed made of a heavy duty - rust proof cast aluminium. I like the holes on each tool so I can easily hang them for storage. 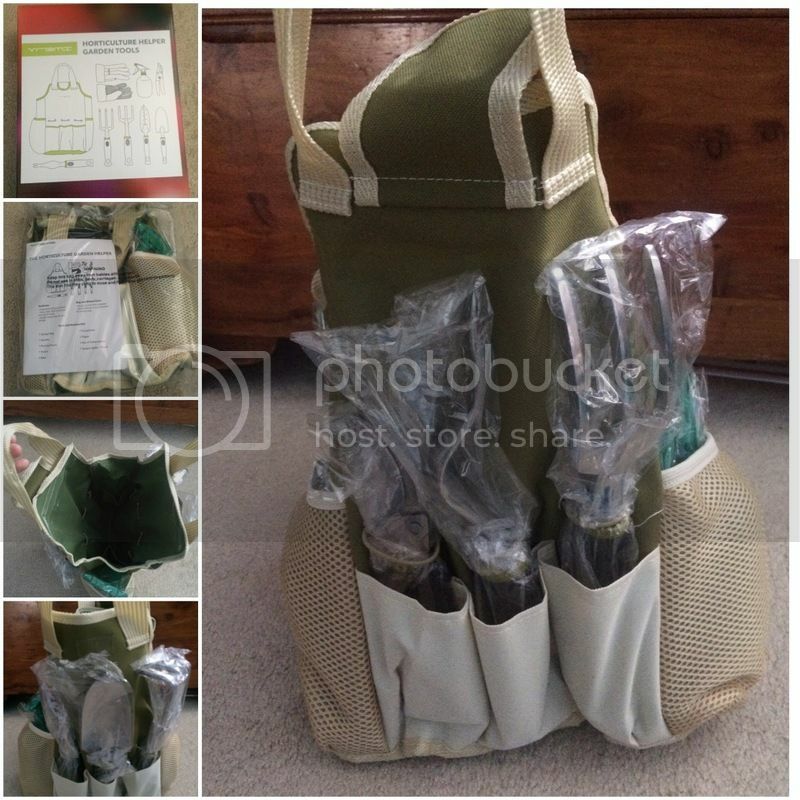 The Bag just makes it all easier for me to carry the tools I needed for my gardening. The water bottle looks sturdy as well as the tools and the bag. I like the information sheet that comes with the product too. Keeps a reminder on how I can take care of the tools after using or what its functionality. I would recommend this product to those who seek for a good gift to give or if you are looking for a gardening tool set.